Like vampires, werewolves, and Frankenstein-like mad scientists? This manga is full of them! Published in 1977, it really goes more for comedy than bloody horror, so if that sort of thing makes you squeamish you should be OK. The story? 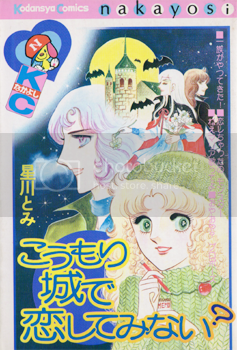 Two girls have curious encounters with the handsome young men who live in a bat-infested castle. Click on each to see the full page scans.